Sofa Business Card Holder #3DThursday #3DPrinting « Adafruit Industries – Makers, hackers, artists, designers and engineers! I designed this business card holder for my wife, who works at a furniture store. 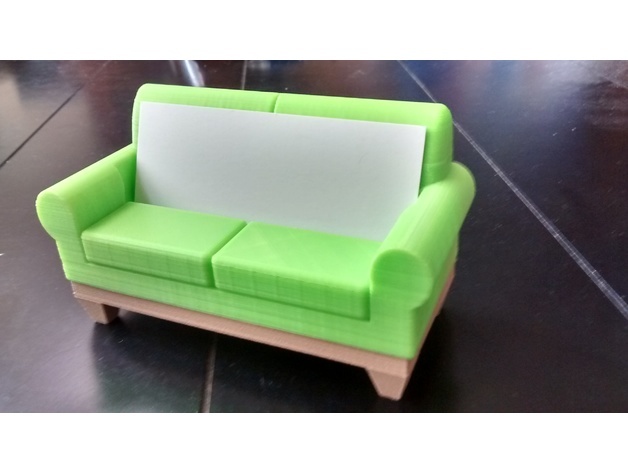 As it is 2 different STLs, you can print the sofa with the color you like, and print the base in a wood filament as I did or perhaps a black filament.